Lumbar stenosis is a narrowing of the spinal canal in the lower part of the spine. This narrowing places pressure on the spinal cord and/or nerves. 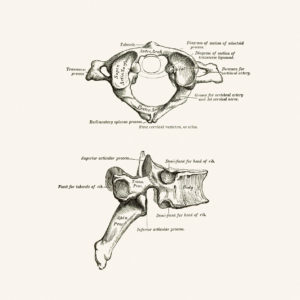 While some patients are born with this narrowing, most cases of lumbar stenosis occur in patients over the age of 50 and are the result of aging and “wear and tear” on the spine. Diagnostic tests. Generally, we start with plain x-rays, which allow us to rule out other problems such as tumors and infections. CT scans and MRIs give us three-dimensional views of the spine and can help detect osteophytes and herniated discs. With some patients we may order a mylogram. This is a test that involves injecting a liquid dye into the spinal column to show where the pressure on the nerve is occurring. Most cases of lumbar stenosis are successfully treated with non-surgical techniques such as pain medications and anti-inflammatory medications. Severe pain may also be treated with corticosteroids that are injected into the lower back (i.e. epidural steroid injections). Depending on the extent of nerve involvement, some patients may need to temporarily restrict their activities. However, most patients only need to rest for a brief time. Physical therapy exercises will also be prescribed to help strengthen and stabilize the spine as well build endurance and increase flexibility. The most common surgery for lumbar stenosis is called a decompressive laminectomy in which the laminae (roof) of the vertebrae are removed, creating more space in the spinal canal for the nerves. If only a portion of the laminae need to be removed, it is called a laminotomy. If there are herniated or bulging discs, these may also be removed (this is called a discectomy) to increase canal space. Sometimes the foramen (the area where the nerve roots exit the spinal canal) may also need to be enlarged. This procedure is called a foraminotomy. For those patients who need surgical repair on more than one level, or who have significant spinal instability, spinal fusion may be required in addition to the decompression surgery. This traditionally involves taking a small piece of bone (usually from the hip) and grafting it onto the spine. More recently, for some cases, we are using bone substitutes such as bone morphogenetic proteins (BMPs) to facilitate spine fusion. Spinal implants (called instrumentation) such as screws and rods are used to support the spine and provide additional stability while the fusion is healing. In most cases, we can determine ahead of time if fusion surgery is necessary. At our practice, we perform many fusions using minimally invasive surgical techniques, thus reducing trauma to soft tissues, reducing blood loss, and ultimately leading to a more rapid recovery. If a fusion is necessary, we will discuss this with you in advance. At our practice, most patients can begin getting out of bed on the same day that surgery is performed! Activity is gradually increased and patients are typically able to go home within 1-2 days after their procedure, depending on the extent of the surgery. As with most surgeries, there will be some pain after the procedure. However, we have pain medications available that will keep you comfortable. At home, you will need to continue to rest. You may still need to take the pain medications for a while. However, pain and discomfort should gradually reduce within a week or two after surgery. Your health is our primary concern. Like you, we are eager to see you return to a healthy, pain-free and active life. If you have any questions about your condition, your treatment or your recovery, do not hesitate to call us.